On Friday, I had opportunity to attend TOAST, The Oregon Artisan Spirit Tasting event held in the Tiffany Center’s Crystal Ballroom in Portland. Joining me was my good friend Corey, whom also shares a taste for whiskies like myself, as well as gins and tequilas and beer. The event was similarly structured to Whiskies of the World, so I was immediately familiar and comfortable with the atmosphere. Specifically, it was a single price entry, and the various distillers were free-pouring rather than the pour-by-ticket method employed by other events. I made an initial lap to get a feel for the offerings at each table, and begin a basic game plan. Realizing quickly that I had just begun walking around, leaving Corey in my wake, I paused to explain my intent and reasoning: I am looking for whiskies first and foremost, as well as to prioritize and make sure I got to the most interesting ones first. There were a number of American Whiskies, bourbons, and ryes showing at this event. Enough so that I was able to focus nearly all my tastes on just the larger whiskies class and not concern myself with the gins and other liqueurs until the end. Of all the distilleries showing their wares, two really struck my interest: Woodinville Whiskey Co. and Big Bottom Whiskey. 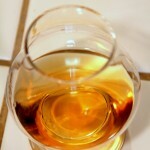 The first of the two, Woodinville Whiskey Co. made a great initial impression on me. While their whiskies were well crafted, what made the impression was their “Age your own whiskey” kit. What a great concept! 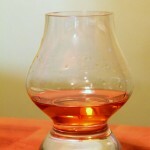 Provide some clear distillate, an oak barrel, and let the drinker manage the aging process on their own. While no one will be going into business based on the final product from the kit, it is sure to bring a new aspect to the home connoisseur, not only for what the kit will produce, but even after you’ve run the 4-5 uses for whiskey/bourbon you can likely even use the same barrel for even more experimentation with barrel aged cocktails and the like… Yes, I already have my name in for a kit once they become available. And their whiskey? Yup, that’s darned good too… but you’d expect that from a distillery which can boast mentorship provided by David Pickerell, master Distiller of Maker’s Mark fame. Unfortunately, I did not bring my tasting notebook and as such have only a vague recollection of the whiskies I tried here, noting only that I really enjoyed them as a newcomer to unaged whiskies, bourbons and ryes. The other distillery to really stand out for me was Big Bottom Whiskey, based locally out of Hillsboro, Oregon. 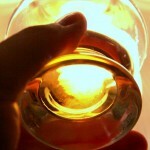 Two things struck me about this particular distillery: the whiskies and the people. 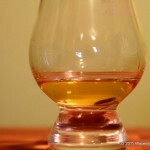 First the whiskies: Offered were two bottlings; the first a 3 year aged American Straight Bourbon Whiskey. Being new to bourbons this one struck me as rather mellow in comparison to some I’d tasted earlier the same evening, and with a rather tempered sweetness followed by some distinct tannins on the finish as I’ve come to expect. The second, however, is where the impression was really made on me: this was a 2 year Straight bourbon whiskey Port cask finished. Now, being a Speyside and port wood finish fan, I was eager to taste a bourbon finished in a port cask, and I will tell you I was not disappointed. One would never mistake this bourbon for a scotch, but the similarities were striking to me. Again, there was a tempered sweetness which brought this drink closer to its port wood finished scotch brethren than most bourbons. While unmistakably bourbon, this one showed a complexity I’ve most typically encountered only in the Speyside port finished scotches. Of course, Big Bottom share a not-so-secret relationship with Woodinville as they also used David Pickerell as a consultant when creating Big Bottom. Hey, its a small community, and when you share, everyone wins! You can bet I will be taking up Ted on his offer to call him around the time his next batch of port finished bourbon will be ready to taste… and maybe lend a hand in the bottling as well! 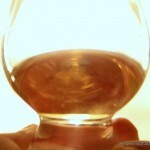 I did say two things struck me about Big Bottom Whiskey, and indeed the second was the people, though that may be a bit unfair as they don’t really come second to the whiskey, rather it seems to be equal footing. If you are reading this blog, you likely already have a good understanding of who the 3 Drunken Celts are and how, as a group, our attitude and outlook can be a tad contagious if not overwhelming to some… well the fine people at Big Bottom seem to share that zeal. Ted has the same crazy “what the heck, let’s try it” attitude which is the very same reason we love Jim McEwan of Bruichladdich. Like the 3DC, Ted doesn’t take any of this too seriously; he lets the passion and enjoyment come to the forefront of his creations. 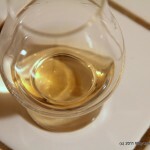 If it is one thing I’ve learned over the past ten years, and which was highlighted in the last two tasting events I’ve attended, it is that while the whiskies are a great thing, it is the people and the passions they carry which really make this a fun, interesting, and exciting endeavor for us all. 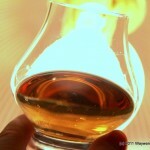 From the distillers to the critics to the connoisseurs, if you don’t have the passion and can’t find the funny, well your enjoyment of any dram is going to diminish as quickly as you can drink it… keep the passion and find the funny, and that same dram will last you far longer than the simple drink ever will.